Introducing the world’s first mattress designed for people with night sweats, by someone with night sweats. Sleep cooler, drier, and more comfortably on our Wicked-Cool™ mattress. While memory foam mattresses are known for their adaptive body support, traditional foam traps heat and creates an uncomfortably warm sleeping environment. If you or your sleeping partner is suffering from night sweats or waking due to a warm sleeping environment, the advanced technologies of the Wicked-Cool™ mattress was designed with you in mind. Our USA handcrafted mattress provides layer after layer of cooling comfort. Surrounded by breathable side panels to ensure the release of warm air, this design continuously allows cooler, fresh air to travel into the center of the mattress. Our added Wicked-Fresh™ air conductor core ensures no hot air will be trapped below the sleeper. You’ll experience the same adaptive back, neck, and core support as other memory foam products, but with increased air-flow and temperature control. 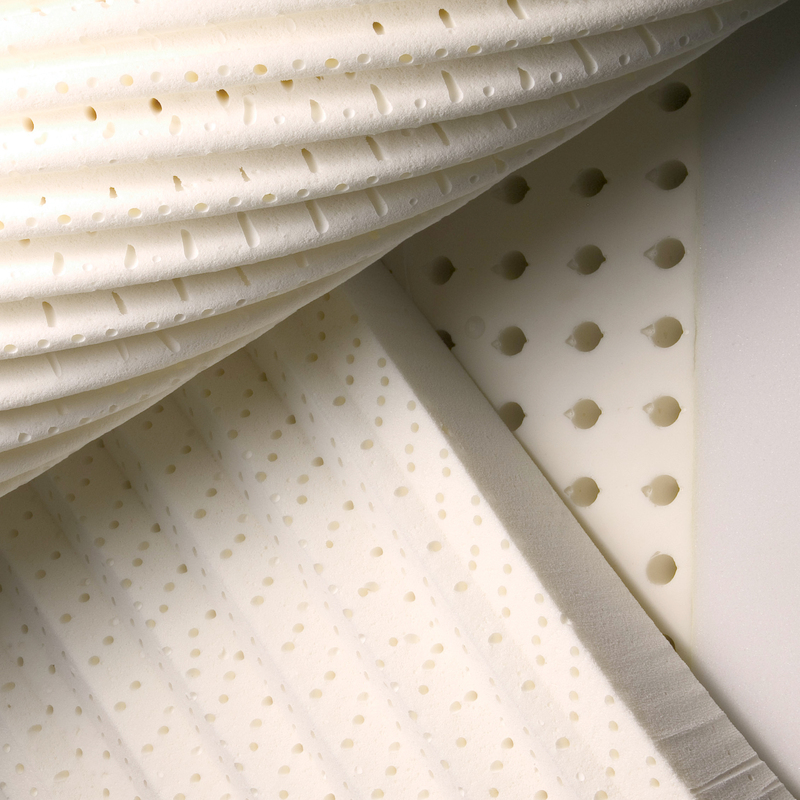 Our breathable cell latex and phase changing gel foam core can be ordered in both plush or firm to suit your sleeper support needs. 50,000 barrels of oil estimated to be saved per year from BioFlex™ Hybrid Foams. **Results based on Preliminary Life Cycle Analysis by Five Winds International. 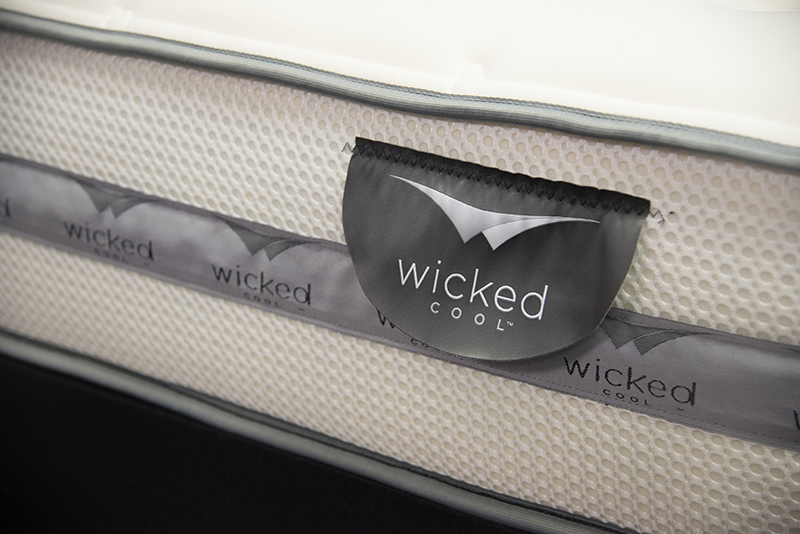 At Wicked Sheets we pride ourselves in the quality of our hand craftsmanship. Although we do not anticipate that you will want to return your Wicked-Cool™ mattress, we offer a 15 year warranty and a manufacturers guarantee on defective or damaged products. Standard Delivery: This service is free for our customers in the continental United States. Additional fees may apply for deliveries in Alaska, Hawaii, and Canada. International Delivery: These costs will be assigned on a country by country basis. Email us at info@wickedsheets.com for a custom quote! White Glove Delivery: This service includes delivery, set-up, and old mattress recycling for a fee of $450. This delivery service also includes a guaranteed 4 hour delivery window scheduled via carrier call ahead. *Please Note: Rural delivery areas may have different timing or regulations, depending on carrier. If you do not need the base, please select “No Base” from the Foundation drop down on the product page. STANDARD 6″ BASE: Free with your Wicked-Cool™ mattress purchase! 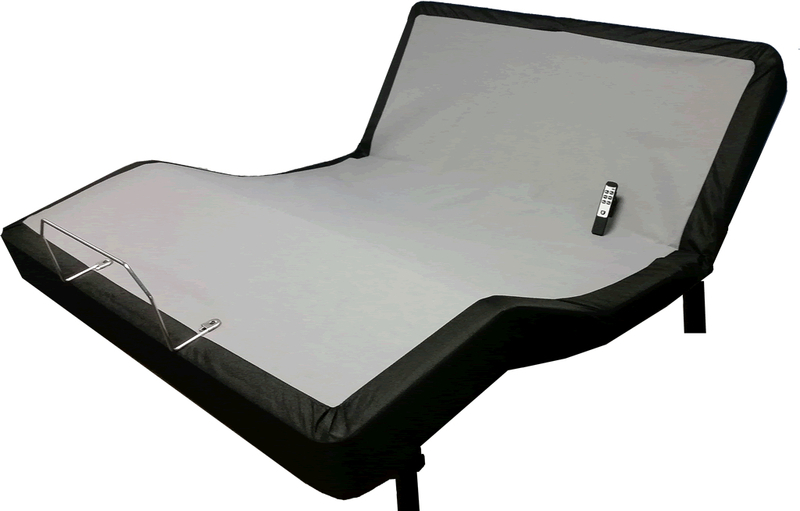 Our Standard Base is 6″ in depth and covered in a stylish black cloth. FIT BASE: Our dual adjustable”Fit” base is perfectly fit for your sleeper needs. With our wireless remote control, freely select to move your head, foot, or both to the angle that best fits your sleeping style. Prices vary by size. All of our base options are handcrafted from locally sourced materials. Our motor parts are proudly made in Kentucky and our wood frames are sourced from Indiana lumber.